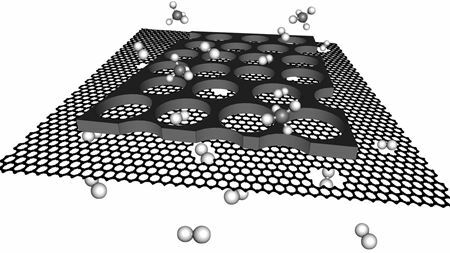 For the first time, chemical engineers have developed a large-area graphene membrane that can separate gas mixtures with a high-efficiency. Join the Mendeley group for further discussion. A graphene coating can control water evaporation by suppressing the rate on hydrophilic surfaces and accelerating it on hydrophobic ones. Connecting a graphene layer with two other atomic layers can extend the lifetime of excited electrons in graphene by several hundred times. Researchers have been able to store and transmit bits of quantum information using a diamond containing specially-designed silicon vacancies. Researchers have discovered that, under lateral compression, graphene forms sharp, saw-tooth kinks with interesting electrical properties. Elsevier's extended Materials Today family also delivered very strong results. A new porous carbon material designed at the molecular level shows great potential for use as the anode in lithium-ion batteries.